When can you eat after EGD? Fibrogastroduodenoscopy (EGD) – this is an unpleasant procedure, but without it it is difficult to choose the right treatment. During diagnostic EGD evaluates the state of the esophagus, stomach, duodenum. It is possible to identify a variety of pathologies, to see the affected areas, to assess the extent of disease, to carry out medical manipulations and to take material for biopsy. Some time after the EGD, you need to follow a strict diet. After the procedure, the throat is an unpleasant feeling. Also, you may receive a burning sensation, discomfort. So do not immediately eat hard food. Best after gastroscopy of the stomach to eat something soft (mashed potatoes, pudding, soup, dairy products). The first meal should be no earlier than four hours after the procedure with a biopsy-without her – not earlier than in an hour. To drink after EGD is also impossible. This is due to the fact that with the aim of reducing the gag and cough reflexes before the procedure, the throat of the patient treated with lidocaine spray. This local anesthetic blocks important reflexes, and if not to bide their time, possibly choking liquid food. It is strictly prohibited to eat and drink immediately after the procedure EGD. After the procedure should be about an hour before the patient will drink a liquid or get something to eat. After the procedure, the doctor determines the period during which it is necessary to follow a diet. After the gastroduodenoscopy, the diet must be strictly adjusted. Patients after EGD is assigned a diet number 1. It is usually administered to patients with pathology of stomach and duodenum: gastritis, peptic ulcer disease, and duodenitis. Diet No. 1 provides for the consumption of foods that can be eaten after gastroscopy and the pathology of the stomach and 12 duodenal ulcer. Resolved steam, boiled, baked dishes. The consumption of salt is minimized. It’s necessary to eat fractional and not less than 5 meals. Per day you need to eat 1500 to 2800 calories. Diet provides a number of prohibitions. pastry and all dishes are prepared from it. You can’t eat some grains: millet, barley, pearl barley. Soups. It is recommended to cook with pureed vegetables. Making soup is best on a potato or carrot broth. You can eat milk soups with well-mashed cereals. It can be rice, oat meals, noodle soups. Are allowed to eat potato soup cooked in chicken broth. Bread. Allowed is only yesterday’s bread from wheat flour of the first grade. Other types of bread is banned. Cakes. 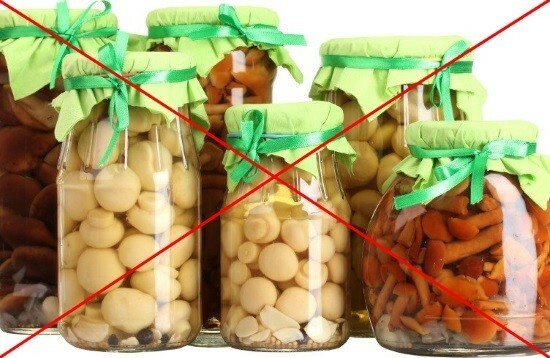 After FGS is allowed to eat nesdobnoe cookies, biscuits, pies, boiled meat, jam, egg. You can include in the menu of the cheesecake. Meat. Many people wonder whether it is possible to eat meat? 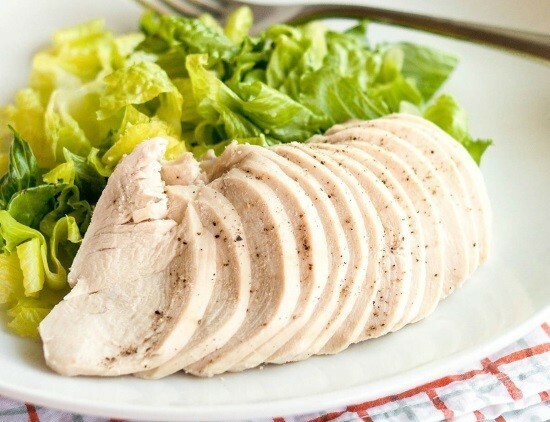 Diet №1 diet includes chicken, rabbit, Turkey. Allowed lean lamb and pork. Meat cooked steam cutlets, meatballs, zrazy. You can eat a variety of dishes, but only boiled meat. Fish. Some time after the diagnosis is allowed to enter into the diet of the fish. The best way to cook fish steam cutlets. Also allowed to cook the fish for a couple, cook. Dairy products. Diet №1 allows to consume dairy products. You can drink milk, kefir, yogurt. You are allowed to add a small amount of sour cottage cheese, low fat sour cream. Eggs. A day is allowed to eat no more than two eggs cooked soft-boiled. Are allowed to eat scrambled eggs. Cereals. Allowed to eat oatmeal, rice, buckwheat. Of them can cook porridge, soups. Cooking grains you can milk, water or chicken broth. From cereals you can cook the meatballs. Pasta. In the menu you can turn on the small pasta. Vegetables. RUB them or steamed. Vegetables are allowed to eat potatoes, cauliflower, zucchini. Tomatoes are allowed but not more than one hundred grams per day and just not sour varieties. Drinks. Some time after EGD you can drink the water. Three hours later it is allowed to enter into the diet of weak tea, cream, weak cocoa, juices, broth hips. Oil and other fats. In meals you can add vegetable oil, warm butter. Other fats are excluded. Diet No. 1 is prescribed not only for pathologies of the stomach and duodenum. To eat gentle foods need after EGD, in various diseases of the esophagus. After EGD, the doctor will determine how much the patient can eat, and how long he will have to follow a diet. The doctor should explain what foods you can eat, what menu should be during dieting. The time sequence of diet is determined by the doctor. EGD usually after a diet lasts about two weeks. If during the procedure was extract tissue for biopsy, the period can stretch to months, but in rare cases. Portions should be moderate. If you eat large portions, it will cause more irritation of the stomach and duodenum. Food must be fractional. The daily ration divided into 5-7 receptions. The last meal should be not later than eight o’clock in the evening (three hours before bedtime). There are certain requirements for the temperature of the food. All meals should be warm. You can’t eat cold and hot food, the food should be moderately warm. Patients should stay hydrated. 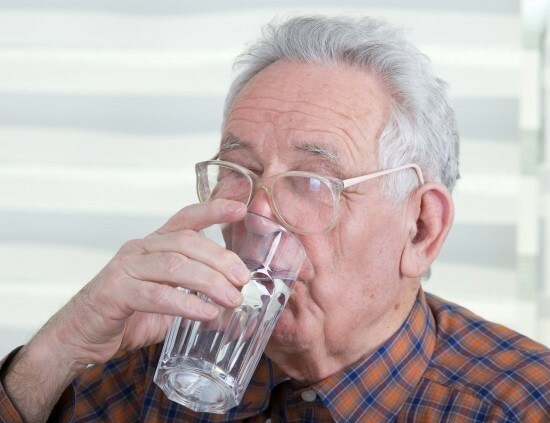 Per day should drink at least one and a half liters of water. If the patient eats a heavy meal, then it can be a pain. To avoid this, you must strictly comply with all recommendations of the doctor. And the first thing you should do is to respect the time, which is allowed to eat. The doctor should explain how long the patient can eat. When you diet, especially if the biopsy was conducted survey method, it is necessary to carefully watch what you eat (ate) the patient or the patient, as well as the temperature of the dishes, drinks. The menu should only be boiled, steam, pureed foods. Some of the dishes allowed to be baked. Wondering when can I eat after gastroscopy, many people think that you can eat as soon as out of the doctor’s office. But actually it is not so. Eating is allowed not earlier than six hours after the procedure. In some cases, the doctor may allow you to eat before. If in the process of introduction of the endoscope, there are some complications, the doctor strictly selects the menu for each day. The results of the diagnosis, the doctor determines what period of time must be respected diet no 1. It may last for two weeks, and in some cases, patients have to follow a health food for several months. READ MRI of the lungs and bronchi: what shows?